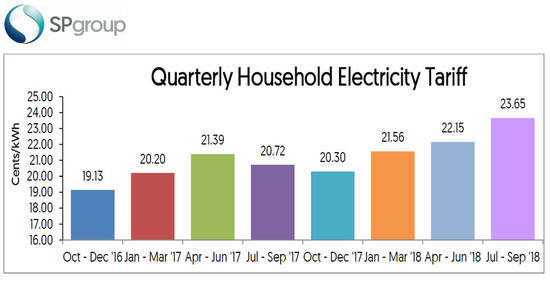 For the period from 1 July to 30 September 2018, electricity tariffs will increase by an average of 6.9% or 1.50 cents per kWh compared to the previous quarter. 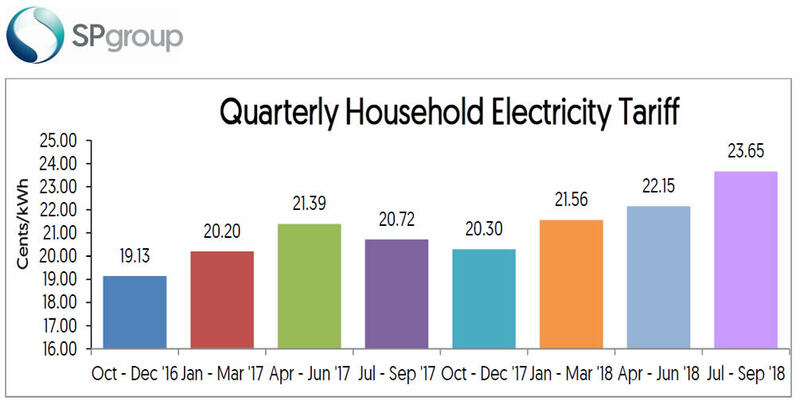 The increase is mainly due to the higher cost of natural gas for electricity generation compared to the previous quarter. 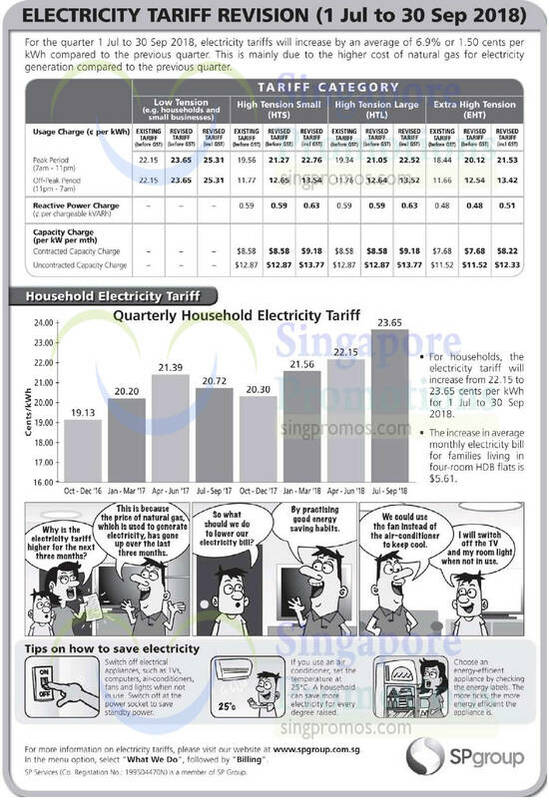 For households, the electricity tariff will increase from 22.15 to 23.65 cents per kWh for 1 July to 30 September 2018.